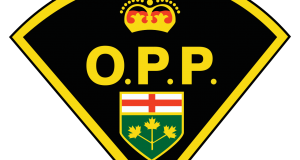 On Saturday April 14, 2018 at approximately 1:47 am members of the Ontario Provincial Police (OPP) Superior East (Wawa) Detachment while on general patrols observed a motor vehicle disobey a traffic sign at a controlled intersection and therefore conducted a traffic stop. Upon speaking with the male driver police detected an odour of an alcoholic beverage on his breath. Adult Possession of a Schedule II substance- Cannabis resin-under 1gram contrary to section 4(1) of the Controlled Drugs and Substances Act.